This move at least forced me to not hoard my library books because I was so afraid of losing them! However, instead I’ve lost my kindle which is really a terrifying feeling. I have such good ebooks checked out and I can’t get to them! The Lion, The Witch and The Wardrobe by CS Lewis. The kid is up and down on this so far. I will make her love it! The Cartel by Don Winslow – I’m not reading this but my husband is. He’s obsessed and in love. So if Mexican cartels are your thing this is apparently highly recommended! I don’t think I can do the violence he’s describing personally though it sounds excellent. Sons and Daughters of Ease and Plenty by Ramona Ausubel – Check out this review at the Gilmore Guide to Books but I really enjoyed this! The Princess and the Pony by Kate Beaton – this has been in transit since May. I’m slightly worried that the kid will never get to read about the pony that toots too much again. Returned Unread – Too many good things to list. It’s kind of sad. I’ll just put them back on my list and pretend August/September never happened! Thanks Shannon at River City Reading for this check-in! 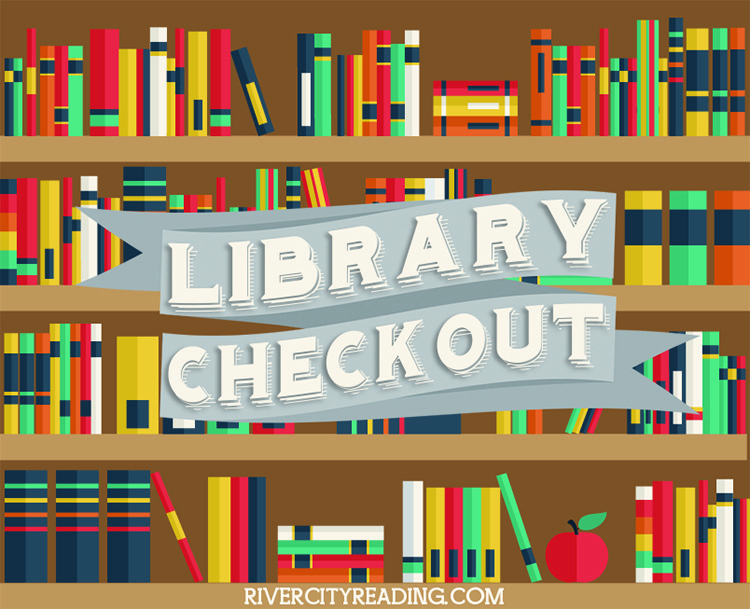 What’s on your library shelf this month? Unlike Shannon this month, I’ve totally over extended my library usage for May. I can’t update my kindle or the books I haven’t finished yet will disappear. This is too much stress! I’m trying to hold back for June – kind of… Ok so I have smutty light reading on hold for summer! Charlotte Bronte: A Fiery Heart by Claire Harman – so LONG but so good! Breaking Bad – The Final Season – still watching! Holy Intense! The Queen of the Night by Alexander Chee – Hardcover is too BIG! A Discovery of Witches by Deborah Harkness- need to reread! The Queen of the Night for kindle – Third Time’s the Charm? How was your library reading this month? Thanks Shannon for this check-in! I have issues. When walking past the library last Friday with my daughter I stopped to check the awesome Chicago Public Library app to see if I had anything in. She asked me if she could get a book too -I started to say “You don’t need a library book, you have enough at home…” Can you believe those words came out of my mouth? Followed by: “Sweet! I have holds in, let’s go inside.” And yes, she got 2 books too. Lady Pancake and Sir French Toast by Josh Funk – GET THIS IF YOU HAVE KIDS. We love it. I need to buy it. Hedgehugs by Steve Wilson – also adorable! Solve Your Child’s Sleep Problems (HA HA HA HA) Never going to happen Dr. Ferber. She’s trying to torture me. Nil by Lynne Matson. I’ve renewed this 10 times – when do I admit I might never read it?